New built contemporary designer villa with beautiful golf and sea views. The ground floor consists of an impressive entrance hall with a double ceiling height that opens to the spacious living room, also with double ceiling height and a central fireplace. 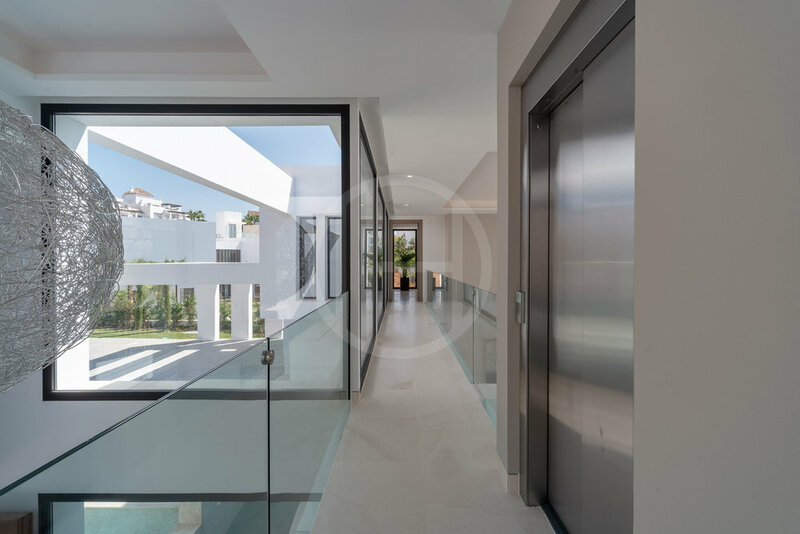 Furthermore, the villa has a beautiful, high-quality kitchen from Santos, fully equipped with Miele appliances and Corian worktop island facing the dining area and with views of the sea. Both dining and living room opens to the large both covered and open terraces and the stunning infinity edge swimming pool. A powder room, and a bedroom with en-suite bathroom complete this level. The upper level consists of the stunning master bedroom with a fireplace and a private terrace with lovely sea views, a bathroom, and dressing area. Further two bedrooms with ensuite bathrooms and private terraces. All bedrooms have terraces with magnificent sea views. 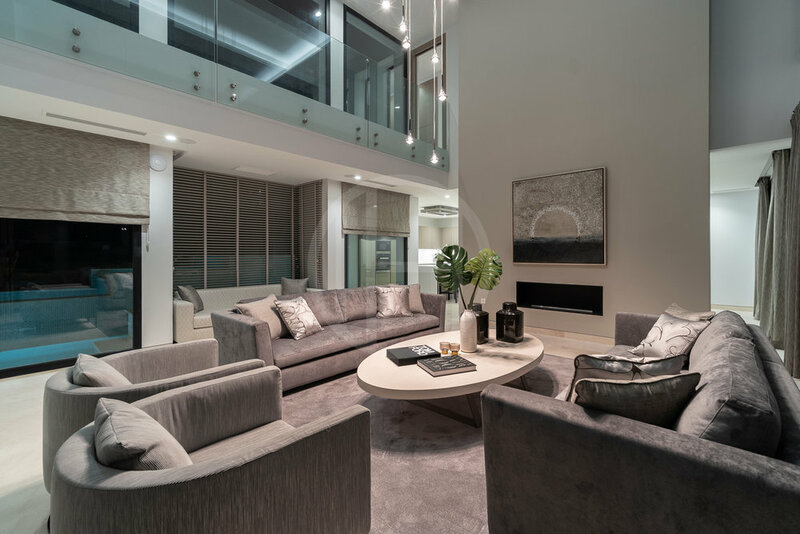 The lower level consists of a bedroom with en-suite bathroom, a large living room with many possibilities, gym with bathroom and double showers, cinema/media room, and technical rooms. The furniture and decoration are not included in the price.